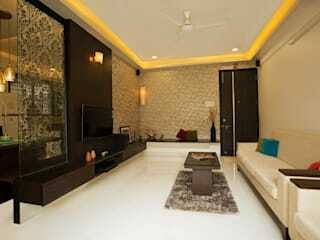 We at 'Interior Works' are engaged in designing and implementing interior designs that speaks for themselves. 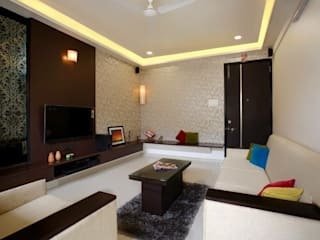 We believe in designing interior spaces that are inspired from the people around you, your family and your work. 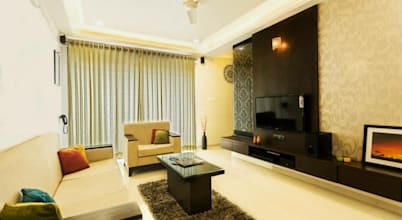 Our range of unique Interior Design makes sure you fall in love with your home or office all again and again and again you pay a little attention towards it. 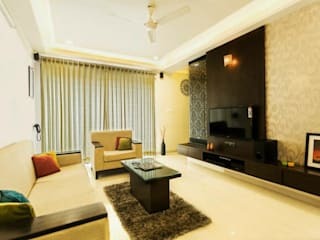 This 2-bedroom apartment is beautifully designed by Interior Works, skilled interior designers &amp; decorators in Pune. Built in an area of 995 m2, this cosy house is perfect for a small family of 3 to 4 people.